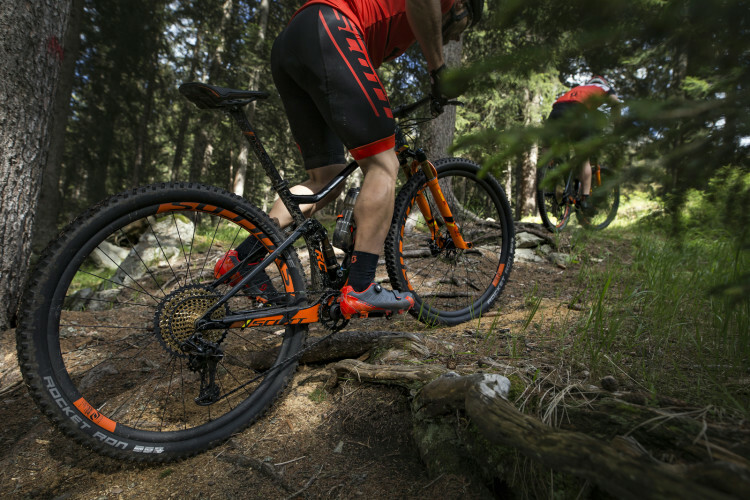 Looks like the rumors I had heard about the new Trek Slash were correct: for 2017 the Slash is getting 29-inch wheels! 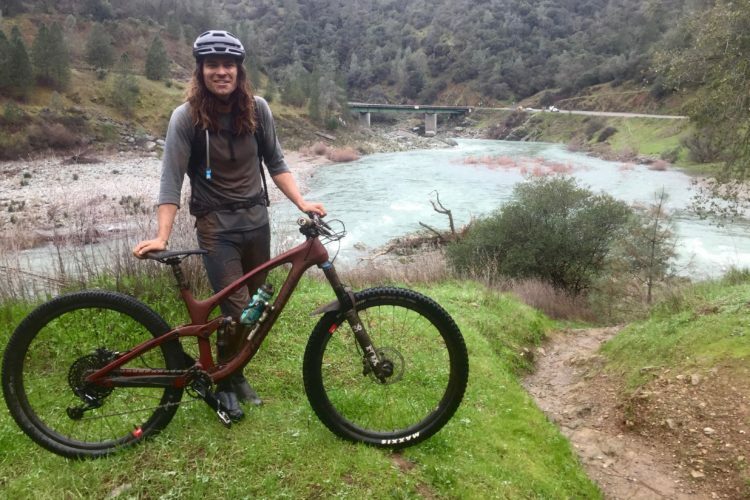 Apart from the larger wheels–the current Slash has 27.5″ wheels–the new bike is seeing a host of other changes. It’s getting slightly less rear travel at 150mm, as opposed to the 160mm on the current bike. There’s also a change in the design of the rear suspension itself. 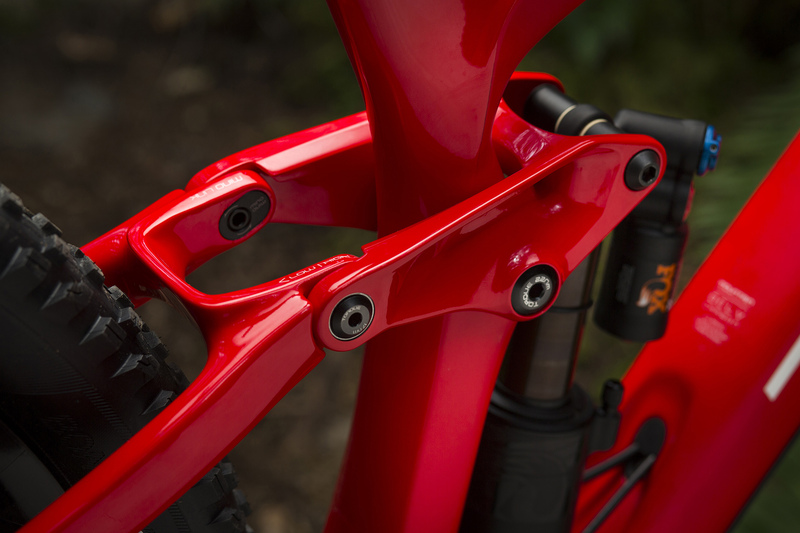 Trek has long been using what they call “Full Floater,” a suspension setup that sees the shock mount to the seatstays via a link at the top, and to the chainstays at the bottom. Essentially, the shock “floats,” as it’s not mounted directly to the frame. 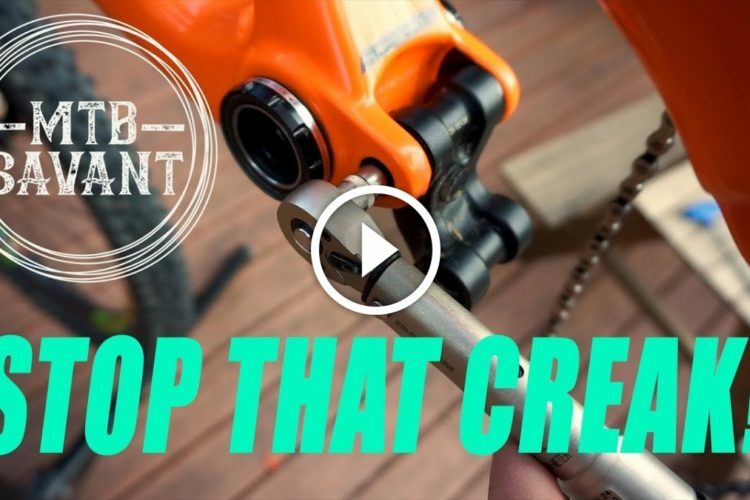 For 2017, the shock will be mounted to a fixed point on the frame near the bottom bracket. 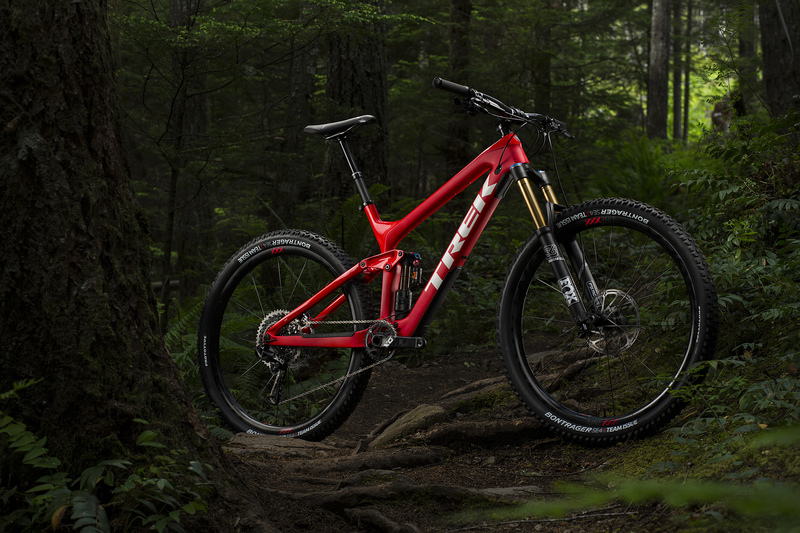 Trek has moved to the new metric shock sizing on the Slash, so any 230×57.5mm shock can be used on the frame. Trek is still using Full Floater on their shorter-travel bikes, including the brand-new Fuel EX and Remedy that were announced recently. Other carryovers from the new Fuel and Remedy include the Straight Shot downtube and Knock Block headset. 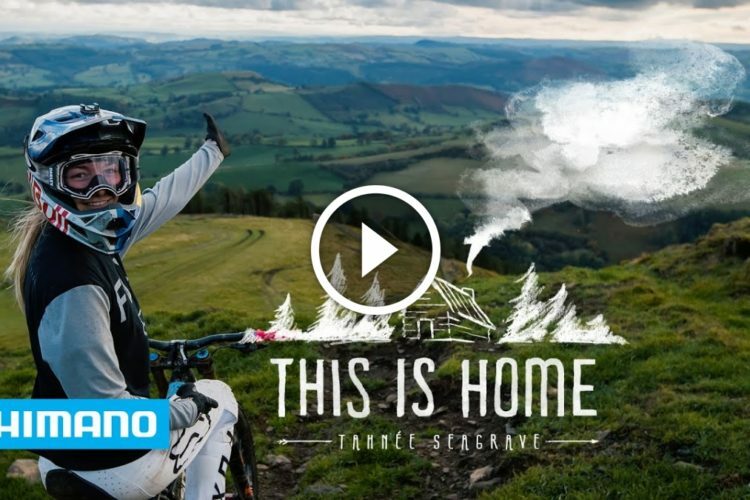 The frame is full carbon, including the seat and chainstays. Speaking of chainstays, they’re actually shorter on the new bike at 433mm, even though the wheels are bigger than the current Slash. 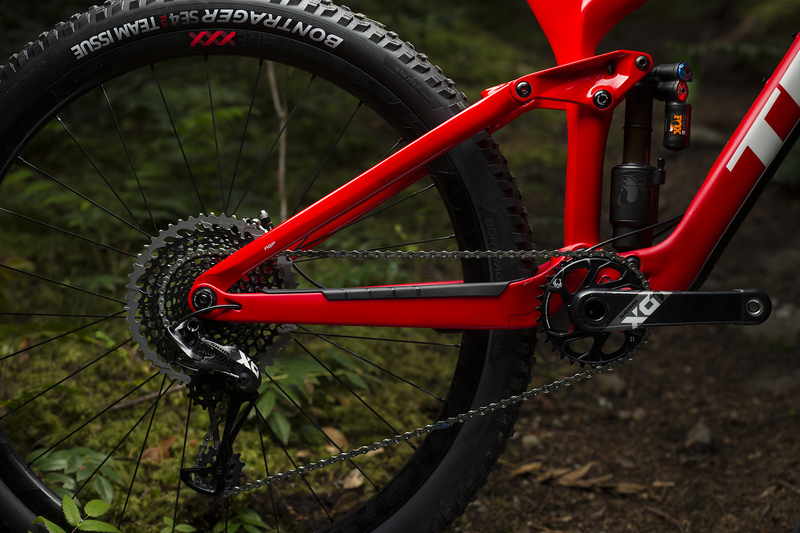 Trek was able to do that by making the bike 1x-specific (no provision for a front derailleur) and using Boost spacing on the rear. 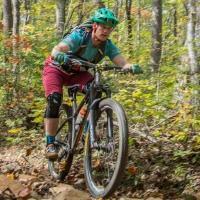 Trek points out that the new Slash is not compatible with plus wheels, but you can run up to a 29×2.6″ tire. There is a geometry adjustment with Trek’s Mino Link that changes the head tube angle by half a degree and the BB height by 7mm. Full geometry highlights are below. Oh yeah, and there’s room for a water bottle inside the front triangle–yeah! 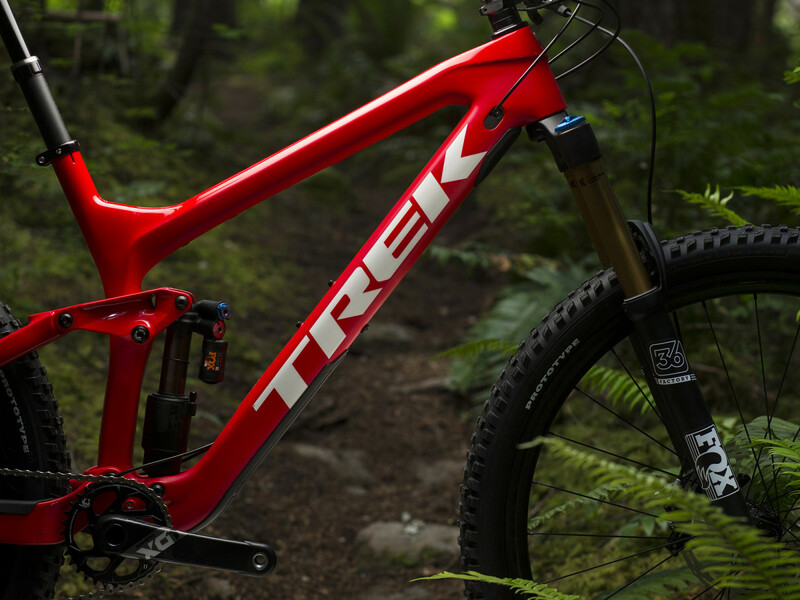 Trek is only offering two models of the new Slash in addition to the frameset option. The Slash 9.8 retails for $5,500 and the Slash 9.9 RSL (Race Shop Limited) is $9,000. 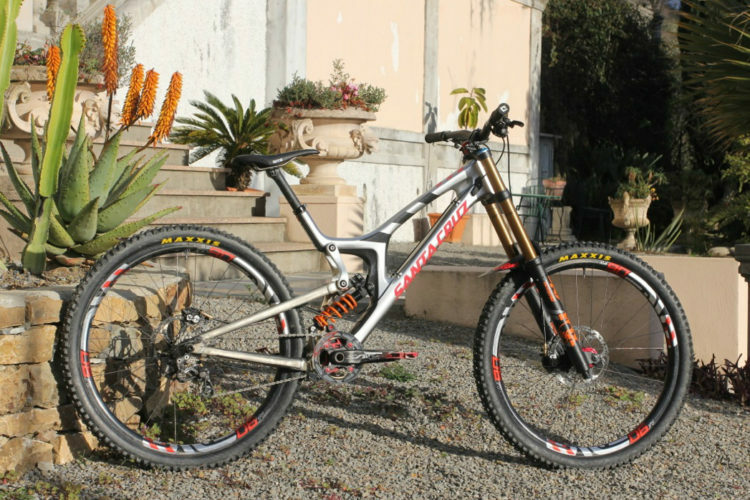 A frameset with a Fox Factory Float X2 rear shock will run $3,700. At least for now, an aluminum-framed Slash will not be available. 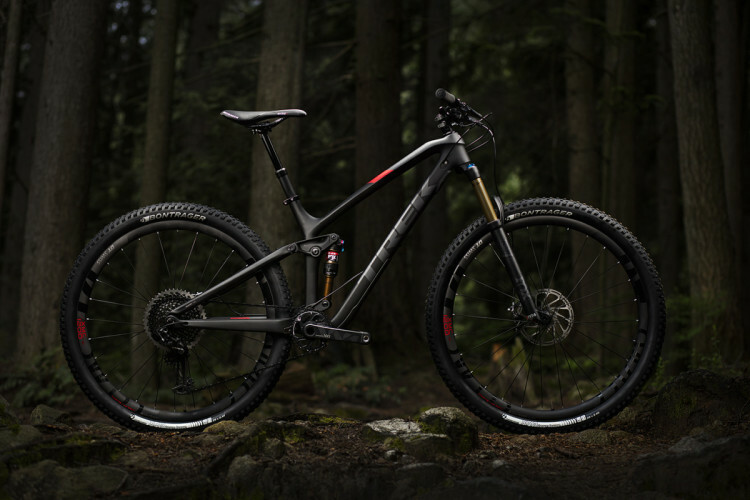 Bummer, since the current entry-level Slash 7 costs $3,450 as a complete bike. 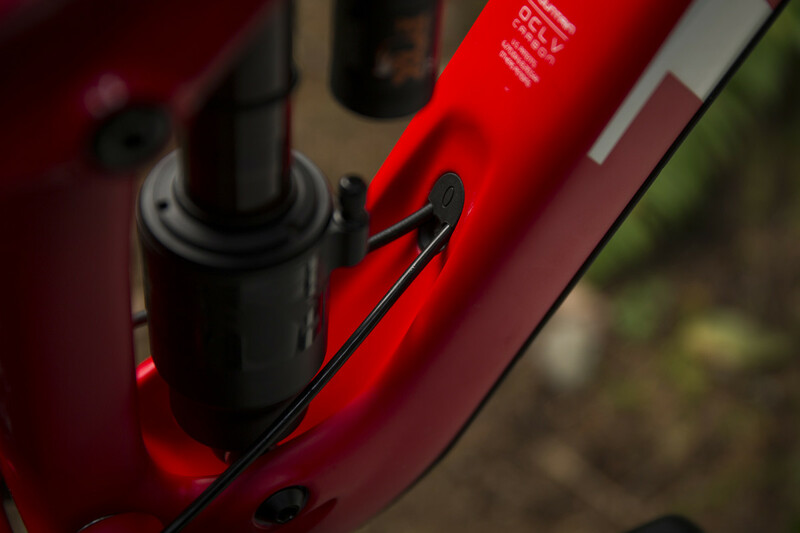 Both models are spec’d with adjustable forks that can drop the travel to 130mm from 160mm. This should help the Slash be more manageable on the climbs. 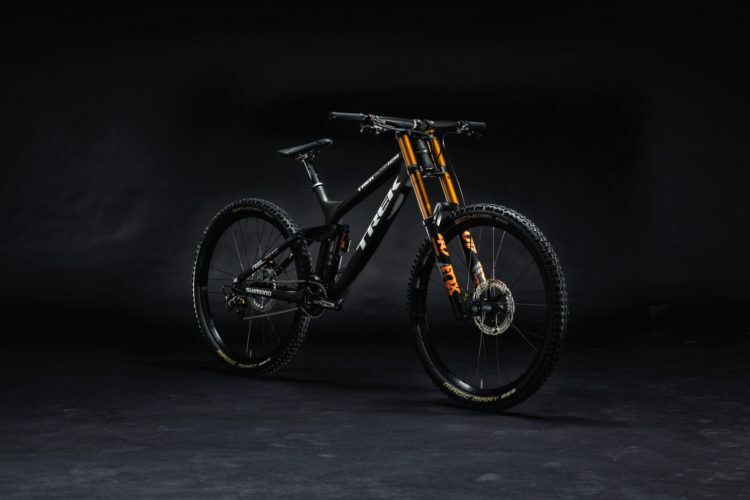 The Slash 9.8 gets RockShox suspension front (Lyrik RC) and rear (Super Deluxe RC3), a SRAM X1 1×11 drivetrain, SRAM Guide R brakes, and Bontrager covers pretty much everything else from the wheels to the dropper to the cockpit. 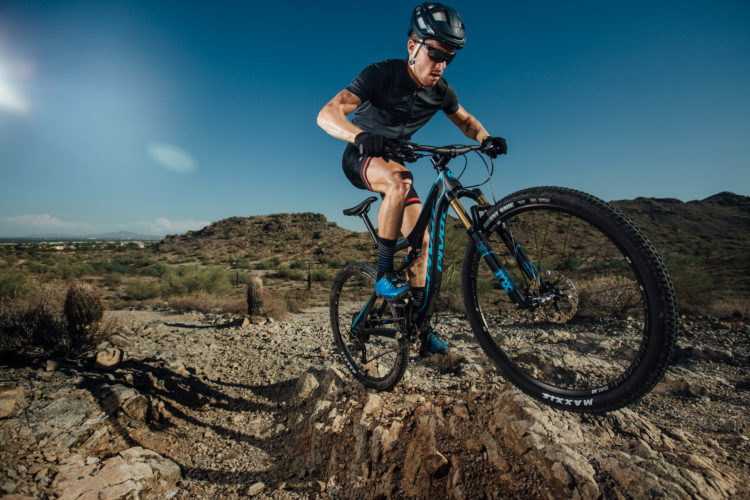 The Race Shop Limited is intended to offer the best of the best, with Fox suspension at both ends, a SRAM X01 Eagle 1×12 drivetrain, Guide Ultimate brakes, and upgraded Bontrager bits. 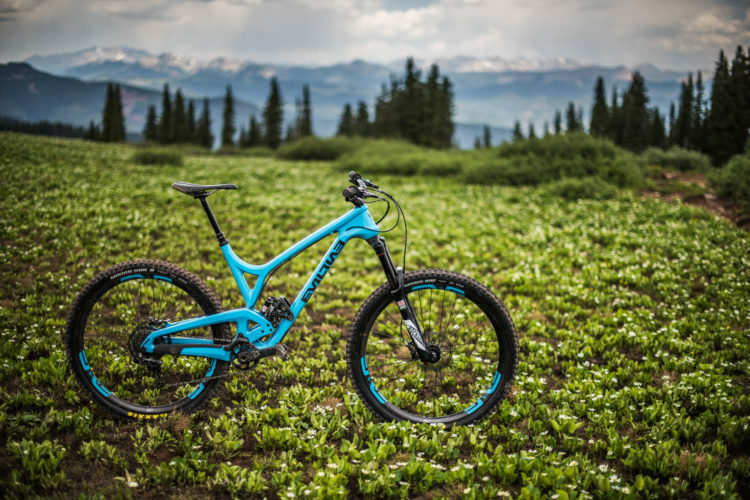 The new Slash–complete bikes and frames–will be available in October 2016. Start saving your pennies.